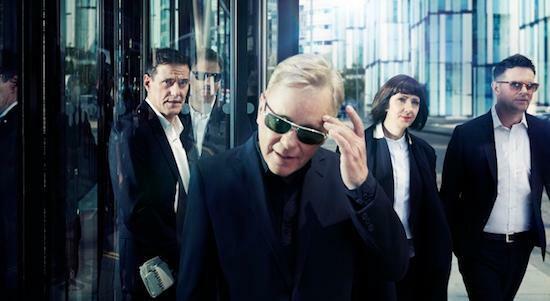 Following the news last week that New Order would rework parts of their back catalogue with a synthesiser ensemble for a series of intimate shows at Manchester International Festival, they have now announced details of a new live album. The live album will take in a number of tracks from their most recent album, Music Complete, released last year, as well as classics from their back catalogue, including Joy Division's 'Love Will Tear Us Apart'. The recordings were captured last year at Brixton Academy and will be available in CD, vinyl and digital formats. You can pre-order the release, entitled NOMC15, here. It's out on May 26. Find out more details on their upcoming special shows as part of Manchester International Festival here.